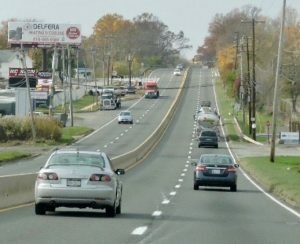 The Pennsylvania Department of Transportation (PennDOT) is improving travel and enhancing safety on U.S. 322 (Conchester Highway) from U.S. 1 (Baltimore Pike) to just east of Route 452 (Market Street) in Concord, Bethel and Upper Chichester townships, Delaware County, by widening nearly seven miles of the highway from two lanes-to-four lanes and improving the existing four-lane section through the Route 452 (Market Street) intersection. Fifteen intersections and two interchanges along the project corridor also are being improved. The project will be completed under three separate construction contracts: Section 101, Section 102, and Section CSX. An advance contract, Section MIT, is developing wetland mitigation sites for the project and preparing a location for future construction of a PennDOT maintenance yard. Section MIT: Construct U.S. 322 (Conchester Highway) wetland mitigation, PennDOT maintenance facility site preparation. The project will expand the existing two-lane artery to include two lanes of eastbound and two lanes of westbound traffic separated by a curbed grass median to control access across the highway. Auxiliary left and right turn lanes will be provided at selected intersections to maintain the free flow of traffic through the corridor. Most widening will be done primarily to the south of the existing road to make use of the available right-of way. Some widening will take place on the north side at several locations near the center of the project corridor to minimize impacts to environmental and community resources. To improve travel and safety within the project area, PennDOT will provide left turn lanes at all signalized intersections; update and add traffic signals on U.S. 322 (Conchester Highway) at signalized intersections; reconfigure and signalize interchange ramps with Route 261 (Foulk Road) and Route 452 (Market Street); widen outside shoulders to eight-feet (current shoulder width varies from one-to-four-feet); provide grass median to separate eastbound and westbound travel lanes; install new guide rail and new drainage systems; replace existing structures; and add Intelligent Transportation System (ITS) components. 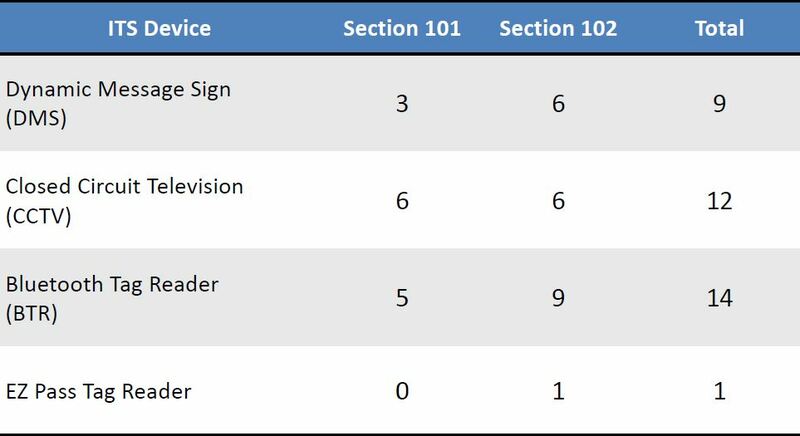 PennDOT also is installing a number of ITS (Intelligent Transportation Systems) components -- listed on the chart below -- along U.S. 322 (Conchester Highway) as part of this project. Why are E-ZPass Tag Readers and Blue Tooth Tag Readers being installed on U.S. 322 (Conchester Highway)? Go here.